Porcelain crowns are fabricated in dental laboratories to match the perfect size and shape of the tooth so that your smile looks perfect. Porcelain crowns offer aesthetics for those who are conscious about their smiles. Porcelain crowns match the exact color and shade of the patient’s natural teeth. Crowns protect fractured teeth, or teeth that have undergone deep restorations (such as root canal treatments or large filling placement) from further damage or fracture. Porcelain crowns when placed on dental implants to replace missing teeth resemble natural teeth allowing patients to smile with 100% confidence. Porcelain crown placement requires at least 1-2 dental visits. During the first appointment, tooth preparation is done which involves slightly trimming the existing tooth so as to ensure proper seating of the crown once it has been fabricated. The trimming is done using a mechanical handpiece and burs. Once the tooth is prepared, the dentist takes an impression of the newly prepared tooth and sends it to the laboratory. Using a special shade guide, the ideal shade for the crown is noted based on the color of the natural teeth and the patient’s preference. In the next appointment, the newly fabricated crown is cemented. 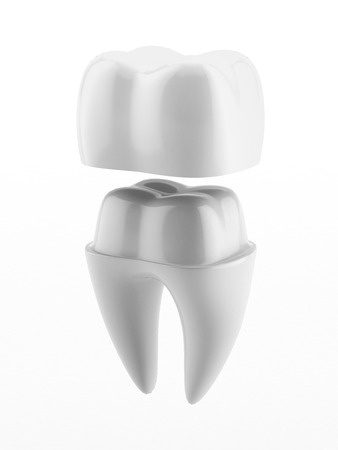 The average cost of porcelain crowns in Austin is between $500 and $5,000. Since it is essentially a cosmetic procedure it is not covered by most insurances. However, certain insurance providers may cover at least half the cost. Our team will help you understand the cost better and confirm if your insurance provider covers the treatment cost. Call (512) 968-7857 to book an appointment with Dr. Trivedi today.